A relative of the bride came to me for assistance in creating a ‘ticket’ and table tent for seating assignments at her cousins wedding. 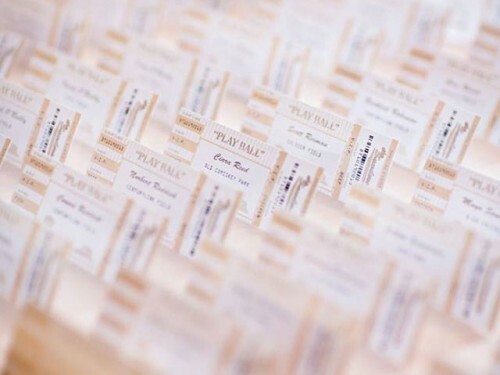 The objective … a refined and stylized version of a sports ticket to represent how the bride and groom met and connected with one another. Table tents with stadium names were created to complete the theme.